I haven't tried very hard to learn to crochet in the past, but last week I discovered something that made me want to pick it up: amigurumi! 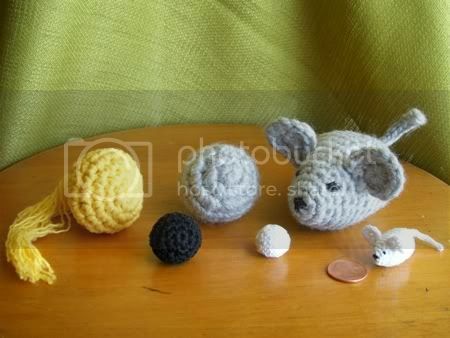 Amigurumi is the Japanese word for knitted or crocheted stuffed animals. 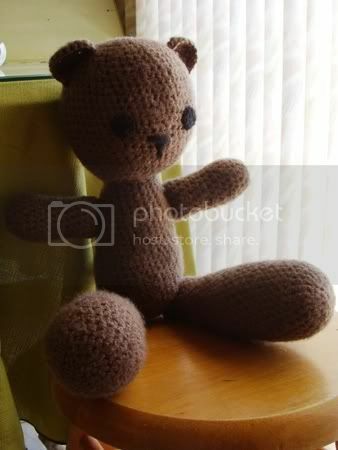 I LOVE me some stuffed animals and they're great gifts for kids but I've only knitted one before and it was a pain. 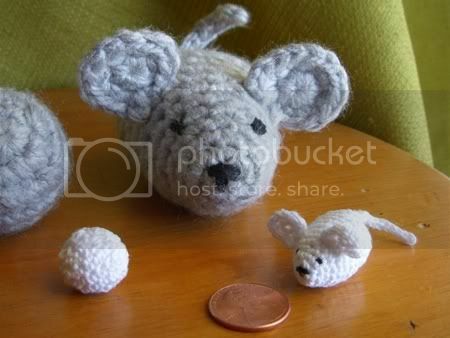 But it didn't seem like it would be that hard to use crochet to make an animal so I though I'd give it a try. On a different note, there have been a ton of summer projects that have been floating around in my mind lately. I want desperately to start on one of them but sadly there are always other activities that have a higher priority. To keep myself motivated I'm going to list some of them here. Hopefully I can get to everything before fall! - Make some of my old t-shirts into tank tops. I live in Arizona so my required summer uniform is a tank top and shorts - otherwise I'd be sweating all day! I have a ton of old t-shirts that I hardly ever wear so I'm hoping that if I can make them into tank tops then they'll get more use. I'd like to find a free pattern that shows how to finish the cut edges so they don't roll (which t-shirt fabric always does). - Make black-out curtains for our bedroom. Perhaps to give us more time to be out of doors during the cool morning hours, Arizona has decided not to observe Daylight Savings Time. Unfortunately this means that in the summer it starts to get light about 4:30 AM, making it really hard to get enough sleep! I made curtains for the bedroom last winter but they aren't much help since they aren't lined. Right now we are making due with heavy blankets thrown over the curtain rods but we really need some black-out fabric! - For one week, design a new craft item each day and then blog about it. I've been making things but not designing much of my own stuff lately, plus I'd like to see how hard it is to do a blog entry every day. - Make another puppet video for The Office. I'm hoping I can get the help of my DunderMifflinInfinity.com branch with this because I am fresh out of story ideas! - Paint our guest bathroom. I'm thinkin' orange. This probably won't happen because I'm too chicken to commit to any color but white! Finally, for those of you who managed to read all the way to the bottom, here's a funny video I recorded of my cat reacting to my attempts to play the ocarina. Enjoy! LOL! You said you didn't like the size of the bear's legs and that's exactly what I like best about it. I think the oversized legs makes it SOOOOOOOOO cute!